The arrival of Touch ID and Face ID functions have opened a whole world full of possibilities for both users and developers. A new API, known as WebAuthn, could soon be adopted on the Internet for Touch ID fingerprint recognition and Face ID facial recognition to be available at web page sign-ups . This new feature, of course, would also apply to social networks, blogs, forums ... and without a doubt, it would completely change the concept we have of web browsing . No more forgetting passwords and no more complications when logging in. 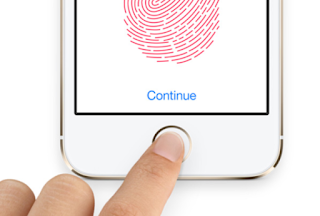 But the WebAuthn API will not allow developers to only integrate Touch ID and Face ID services into their web pages. In addition, other readers of fingerprints, cameras and USB keys will also come into play. As of today, Firefox is already compatible with WebAuthn . Very soon, Google Chrome and Microsoft Edge will join (in the coming months). Although at the moment we do not know if Safari will also be compatible, it is very likely that Apple will also join the initiative. Since it seems to be made to measure for the company of the bitten apple and its functions Touch ID and Face ID . "This document has been published by the Web Authentication Working Group as a Candidate Recommendation [...] for implementations of the Web Authentication API in browsers." The truth is that, in most cases, Apple is quite slow when it comes to adopting this type of initiative , but hopefully it will happen soon. Can you imagine how efficient it would be to be able to log in to your favorite web pages with Touch ID and / or Face ID? What i don't realize is in truth how you're not actually much more neatly-preferred than you might be right now.